Holistic Way Melatonin 5mg, is a fast-dissolving sublingual (dissolves under the tongue) tablet that allows for best possible absorption and works fast to promote and support sound sleep. It helps to increase your sleep time thus giving better sleep quality for people with altered sleeping schedules like shift work and jet lag. Keep out of reach of children. Store below 30 degree celsius in a cool, dry place. 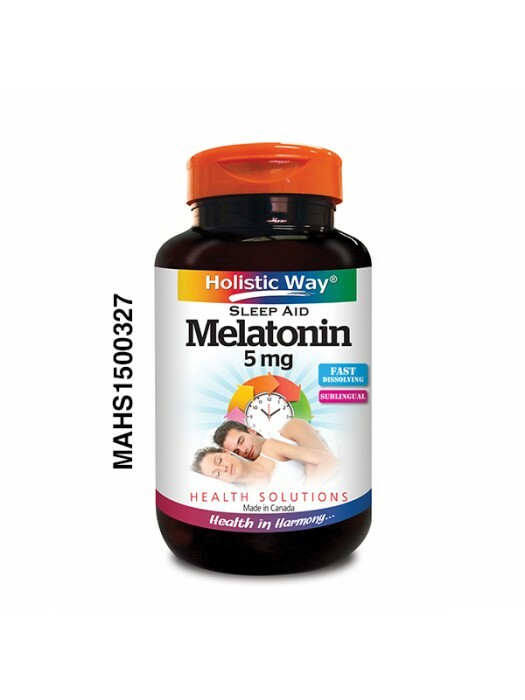 Adults: At bedtime, allow to dissolve under the tongue, 1-2 tablets daily or as recommended by a physician. Consult your physician for use beyond 4 weeks.